Walk to Livsey Elementary and Henderson Park. 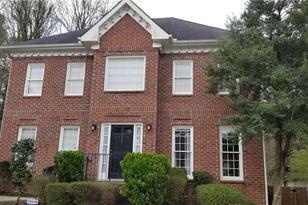 Spacious 4 Bedroom in City of Tucker is priced to sell! Entry foyer, separate living/dining and family room on main level. Granite kitchen with stained cabinets, large breakfast area. Nice master BR with walk-in closet and master bath. 4th bedroom/loft on third floor. Detached, 2-car garage and fenced low-maintenance backyard. Driving Directions: Chamblee-Tucker to Livsey Road to right on Livsey Woods Dr. Home on cul-de-sac. 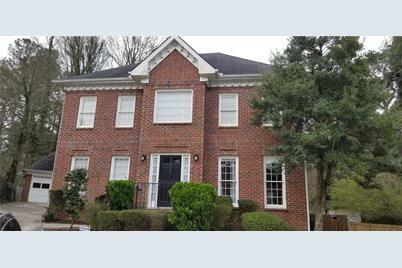 Listed by Realty Associates of Atlanta, LLC. and Realty Associates of Atlanta, LLC. 2867 Livsey Woods Drive, Tucker, GA 30084 (MLS# 6510988) is a Single Family property with 4 bedrooms and 2 full bathrooms. 2867 Livsey Woods Drive is currently listed for $309,900 and was received on February 26, 2019. Want to learn more about 2867 Livsey Woods Drive? Do you have questions about finding other Single Family real estate for sale in Tucker? You can browse all Tucker real estate or contact a Coldwell Banker agent to request more information.